A Blush Moment has exceeded all expectations and helped us truly enjoy our special day. Jeannie Yeoh (head planner) was there every step of the way and without her help we could not have had such a successful wedding. Throughout the planning process she was diligent and attentive. On the wedding date it was smooth sailing. I only found out post wedding there were so many situations that were happening that I did not know of. A Blush Moment solved all problems quickly and efficiently that I was never ever bothered. I am truly grateful for such a fantastic planner who cares about our wedding as much as we do. Thank you to A Blush Moment for making our day the beginning to our happily ever after! Jeannie and her team were fantastic, and handled my wedding with great professionalism. At our first consultation, she was attentive to all of my questions and concerns, and explained every aspect of the planning process that I was unsure of. 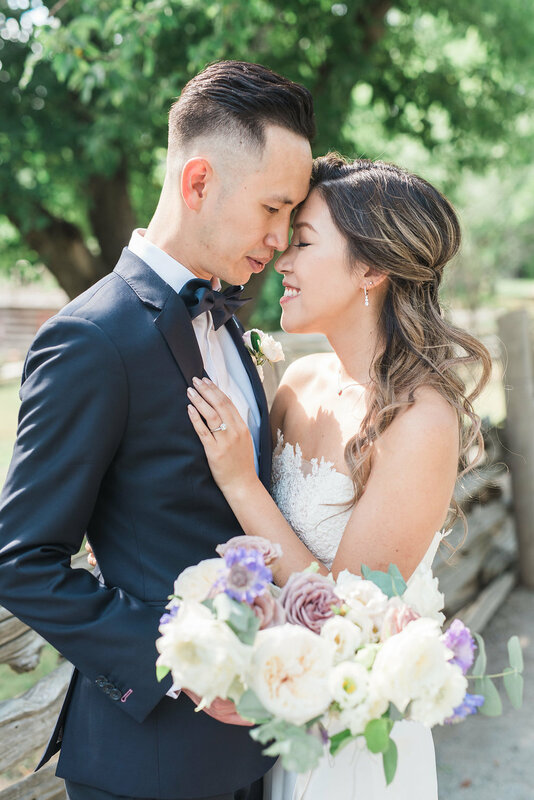 Planning my wedding with Jeannie felt effortless as she was well-organized and was responsive to all of my emails, texts and phone calls. 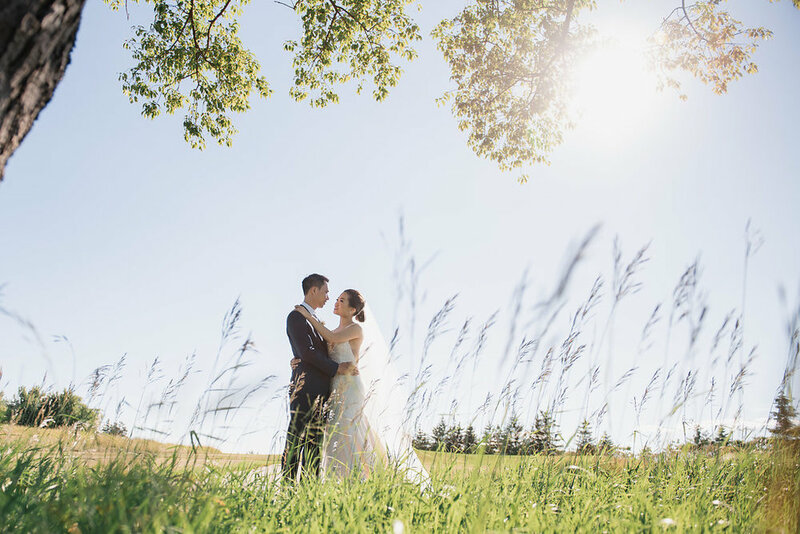 What was especially helpful was her ability to liaise with all of my vendors effectively, and to troubleshoot all issues leading up to the wedding day. Jeannie also had an unrelenting attitude to deliver every single detail that I had asked for - from scouring the city for very specific and obscure decorative pieces to coordinating a jam-packed evening into one comprehensive and efficient itinerary. Jeannie and her team also made sure that my husband and I were fed and taken care of throughout our wedding day - a small detail in most eyes, but a very important one (I promise). And although our outdoor plans and ceremony were met with a full day of heavy rain, she executed all of our contingency plans beautifully alongside the vendors. Truthfully, I wasn't convinced at first that I needed a wedding planner, but realized almost immediately that having Jeannie would be a blessing. I'm so glad that we worked with her because she brought my vision to life, and made the planning process enjoyable. She was worth every penny, and I highly recommend her for your wedding planning needs. Thanks again for everything, Jeannie! Jeannie and her team were amazing to work with. She is passionate about her business and has helped us bring every aspect we envisioned for our big day to life. She is professional and we were able to rest assured that everything was how we had imagined it to be. Without Jeannie, we would have not been able to put together such an amazing event. Thank you for all your hard work Jeannie, everything came together so beautifully and was better then what we were expecting. Like many of the other reviewers on here, we weren't sure we needed a wedding coordinator. BUT I can't emphasize enough - the reality is that a coordinator makes the day and night SO much easier and enjoyable for YOU. We had our wedding at my parents' home and so we are especially pleased we had Jeannie to help us, we definitely could not have executed all the details without her (and there were a lot of details). Jeannie talked to all the vendors and made sure things ran smoothly, wrangled guests and family involved in the ceremony and in the speeches so that they were where they they needed to be, pinned the table cloths in a way that made them so much more festive, set up the different areas, turned on the lights at twilight and lit all the many candles. Jeannie's assistant also helped me a bunch of times with my bustle when no one else seemed to know how to fasten it :) Jeannie coordinated our day with superb professionalism and a lovely smile. She showed so much enthusiasm towards our wedding and our plans and genuinely seemed as excited as we were. Her love of weddings and wedding planning is obvious, and came through in all our meetings and in her desire to make it the absolute best day for us. We definitely recommend Jeanie to all couples looking for assistance in planning and coordinating their wedding day. Thanks so much Jeannie! We are so happy to have found a wedding planner like Jeannie and her team! From day one we knew that Jeannie would be able to work with us effortlessly. She was always available when we had questions via phone, email and text, and she met up with us almost every month despite the long commutes into the city. We were ambitious and had a lot of big ideas for our wedding. Our itinerary was full to the max, but Jeannie was accommodating and played a crucial role in liasing with our 10+ vendors! As a couple who's not so 'DIY-savy', having a wedding planner is definitely a huge help, and we would highly recommend Jeannie and her team! Jeannie is such a great help to make the special day perfect. Especially in the case that we are working with a tight schedule and budget. On the day of, it was the first day my bridesmaid and the groomsmen met, and my maid of honor arrived from another country at 1am on the day, but she just managed to keep everyone in order and the process smooth. Also, we did not hire anyone to do the decoration. Our centerpiece is basically glass vases and tangerines. She made the centerpieces and the decoration memorable for our guest. Thank you, Jeannie for all the hard work. Thank you so much Jeannie and team, you did an absolute fantastic job at my wedding! I couldn’t have pulled it off without your help. Thanks for arranging everything indoors, due to the rain. It looked absolutely amazing! Thanks for thinking of the little details, and making those decisions on behalf of me. You were my best investment for my wedding, and I highly recommend your services to everyone getting married. I was so thankful to have you there taking care of all the details while I enjoyed my day. All the best! My husband and I hired A Blush Moment as our day-of coordinator. 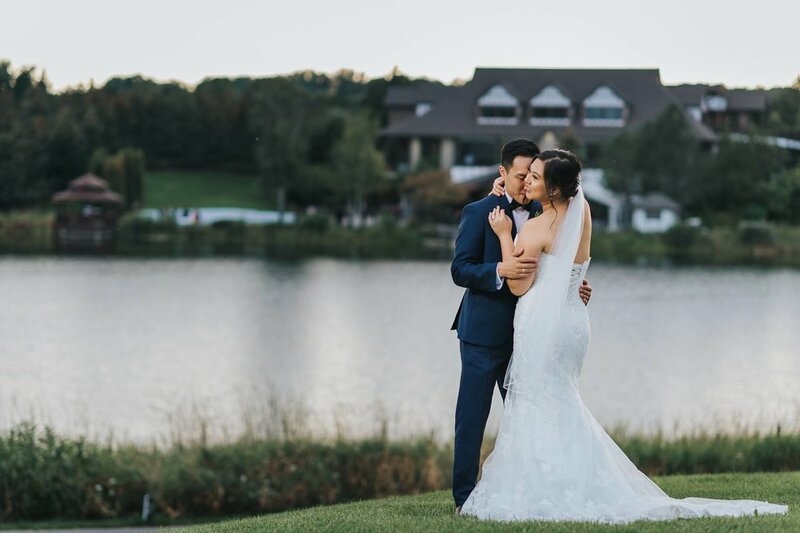 We had been referred to her by our photographer and reflecting back on the day, we definitely think hiring A Blush Moment was one of my best decisions. The day-of coordination package includes the planning of the itinerary (e.g. reviewing contracts, when are payments due, what time vendors need to arrive and stay until, etc) and actually working on the day of to ensure that the day proceeds according to the schedule. Prior to the day-of, Jeannie (head of A Blush Moment) had met with me on several occasions to discuss itineraries and ensure that any outstanding items I had were being closed down so she can finalize the itinerary. The reason I gave A Blush Moment 5 stars really is because I felt I did not have to worry about anything for the wedding -- from my perspective the wedding went super smoothly with absolutely no effort on my part. She worked with the MCs to ensure that they were doing their work on time and only came to talk to me when she wanted to give me a warning about when certain things will happen. The team took care of setting up all of my decorations and worked with the florist to ensure that the florals were properly placed. In addition to this, Jeannie was extremely helpful in asking me things I may have missed during our planning sessions. She's worked on a lot of weddings and I relied on her experiences a lot for advice. I absolutely recommend A Blush Moment to anyone considering a day-of coordinator. We hired Jeannie for the full planning package because we needed it. BAD. My fiance and I are terrible at planning and keeping track of important information. Thankfully Jeannie is a pro at that. She met up with us for as many times as we requested/needed and she accompanied us to a lot of our meet and greets with vendors. We really appreciated that. One particular one I appreciate is that she volunteered to come to my makeup trial because she knew I was having difficulty deciding if that MUA was the right one for me. She sacrificed 5 hours of her life but I really appreciated that. Jeannie was an amazing month-of coordinator. When we started our planning, my husband and I underestimated how helpful it would to have a wedding planner. From the beginning, Jeannie put us at ease because she was professional, punctual and detail oriented. She helped us consider details that we wouldn't have thought of ourselves. She was also very helpful in communicating with all of our vendors leading up to the wedding. Given the size of our wedding (300+ people), we felt reassured that we had someone very reliable to direct our schedule. On our wedding day, while we managed our families and friends, it was nice to know that someone was overseeing all our vendors and keeping us on schedule. We also appreciated that Jeannie was so diligent and calm in answering our questions and addressing our concerns especially in high stress situations. We would highly recommend Jeannie and her team!